"Total Transparency Is My Philosophy"
"Once you had a wonderful dog, a life without one, is a life deminished". Click on button to see more webcams! 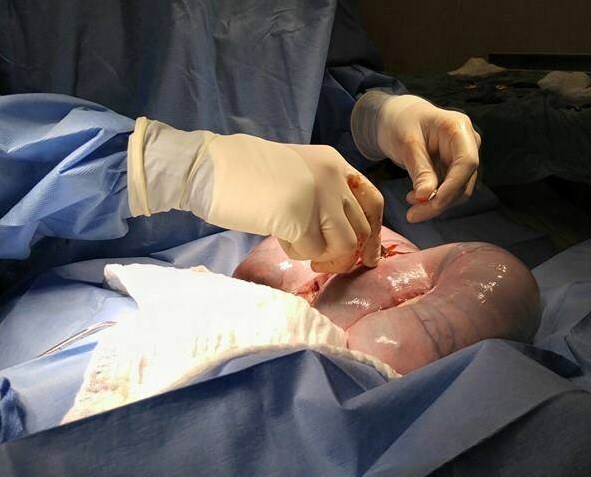 You are welcome to watch our Live Birthing via Puppy webcam. Breeding for Health, Temperament, Rare Colors & Beauty. I was born and raised in Germany and Miniature Schnauzers were always a part of my life. 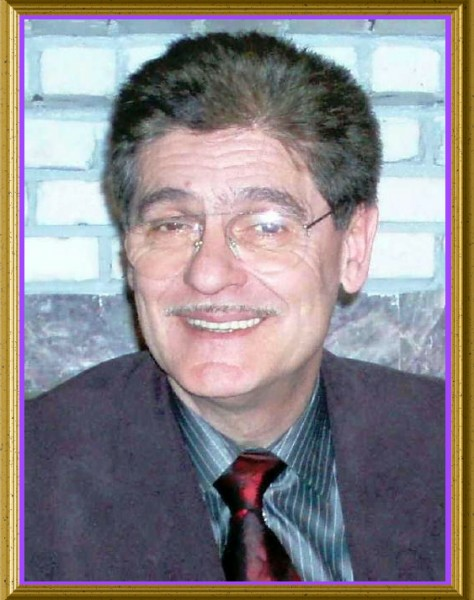 After moving to the United States, I studied nursing and worked for over two decades in the medical profession. 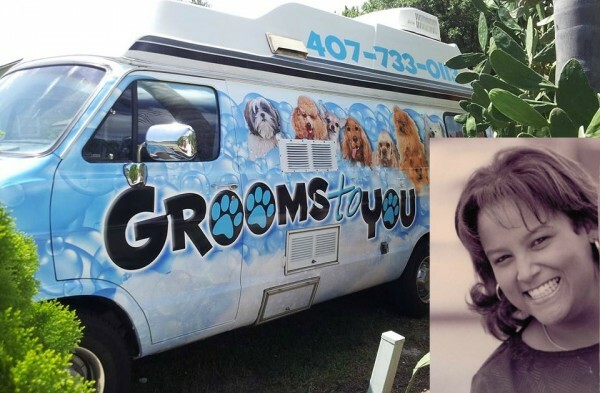 For many years, I bred and showed Collies because I had a childhood love for Lassie. After only 15 month of being married, my new husband Maximilian (MAX) was diagnosed with Pancreatic Cancer. 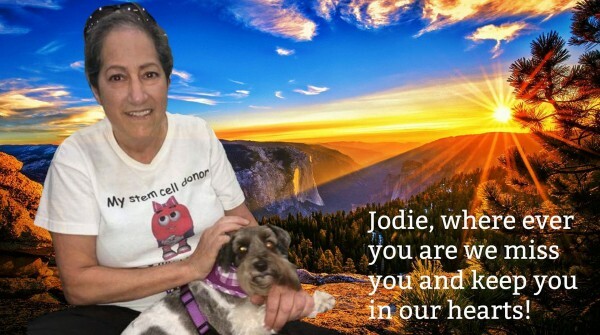 I had to give up all but two of my Collies because we were traveling throughout the country trying to find cancer treatments that would buy us more precious time together. After Maximilian's death January of 2009, my life was shattered and empty with the collies being gone as well. I bought 3 miniature Schnauzers to fill the void and bring comfort to my grief. I had chosen Schnauzers because they do not shed, are very smart, and are easy to train. One year later, I found myself sharing a bed with twelve Schnauzers. There is a Schnauzer welcome party just for me each time I return home from running errands, sometimes three to four times a day. My Schnauzers have been such an uplift to my soul and have filled my emptiness due to my loss. Now they are more than just my Schnauzers - they are my family, my best friends and my therapy. No one is kenneled; they have two acres to roam around. Everyone has fun chasing rabbits, squirrels, lizards, and the neighbor's dog. All of them are very obedient and respond well to the clicker training since they always want to please. My babies are only sold to approved homes and never to pet stores or brokers. My dogs are pampered with lots of love and affection, and are ready to be spoiled in your home. For After Midnight C-Sections. 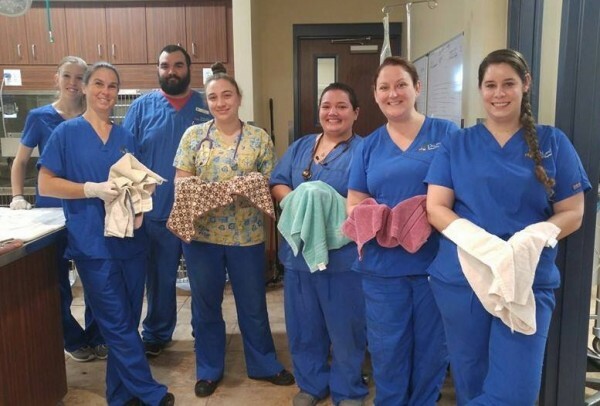 One Vet Tech for Each Puppy!!! A team is not a group of people working together. It is a group of people who trust, respect, help and support each other. Uncle Jake, our newest addition as Doggie Spoiler and Caregiver! 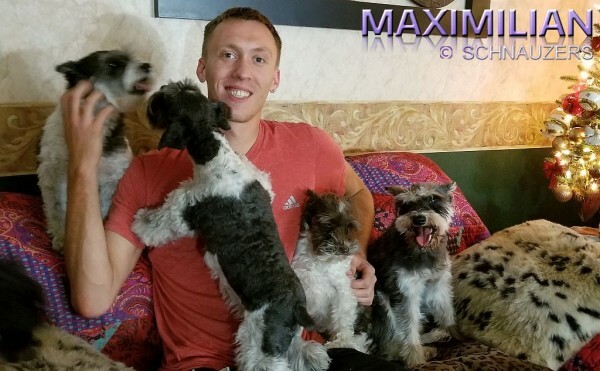 Maximilian Schnauzer is the Place where the History of the almost extinct Parti-colored Schnauzers is being resurrected. Parti Schnauzers are NOT DESIGNER DOGS. 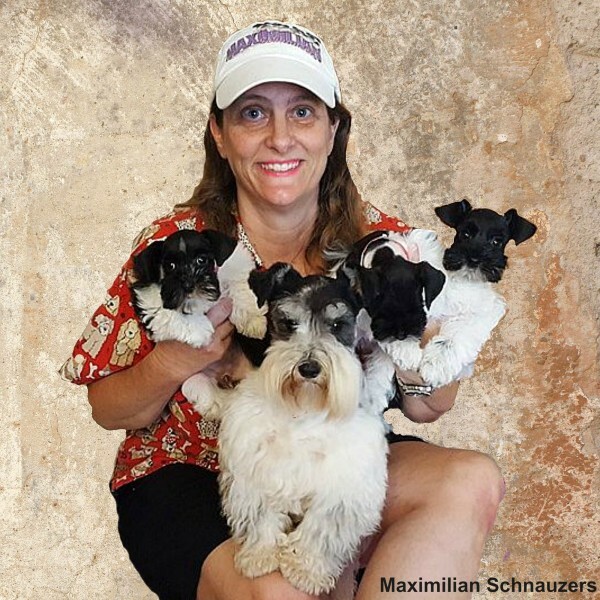 They are true Schnauzers and registrable with AKC!!! The original parti-colored Miniature Schnauzers were found in Germany 1929. Unfortunately, lots of the Parti Schnauzer's breed history was destroyed during World War II in Germany. I am German. Therefore, it has become my mission to help resurrect all those lost Schnauzer colors and educate people who believe that there is no such thing as a Parti Schnauzer. YES, THERE IS! In the beginning of the Miniature Schnauzer history many breeds were used to down-size the Standard Schnauzer to produce the first Miniatures and “non-official” colors have appeared in the breed. The Breed Standards were set early on by a group of enthusiasts who simply decided they liked this or that and thus "outlawed" any "off" colors. 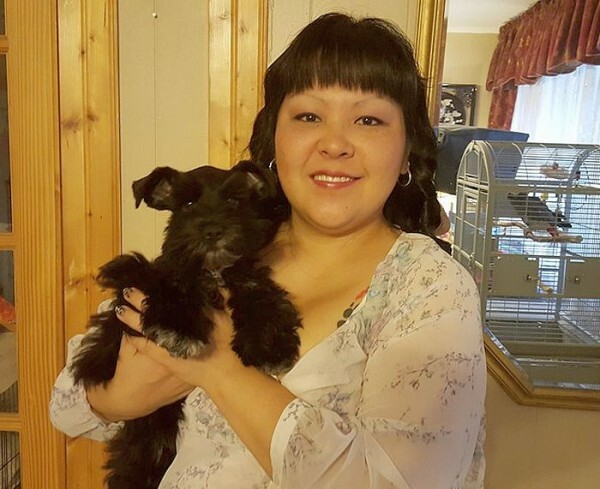 Sadly, Colored Miniature Schnauzer were not desired and many litters were destroyed. This led to the near extinction of the partis and all those other colors. Even today, Breeders who are breeding for the show ring still do all they can to eradicate the non-official colors from their lines. This has led to an unfortunate attitude of “color-prejudice” against colored Miniature Schnauzers within such circles. While they are disqualified from the show ring, such dogs are recognized as purebreds by the AKC (American Kennel Club). So, while Parti Schnauzers can’t compete in the Show Ring, there is nothing wrong with the colors as many like to argue. 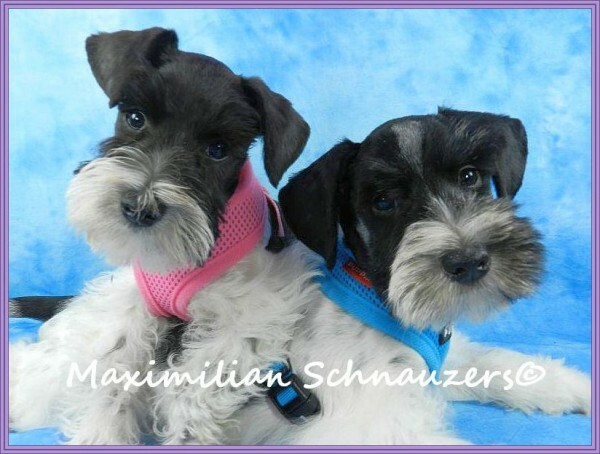 They are 100% purebred Schnauzer!!! ATTENTION! 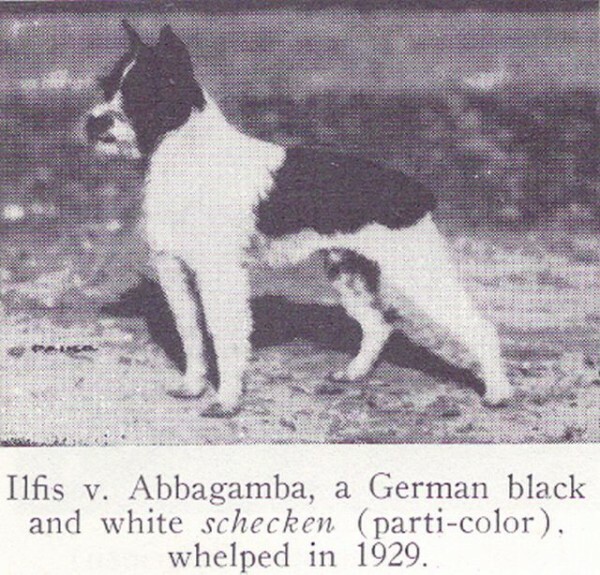 First black and white Parti litter was born in Germany 80 years ago! 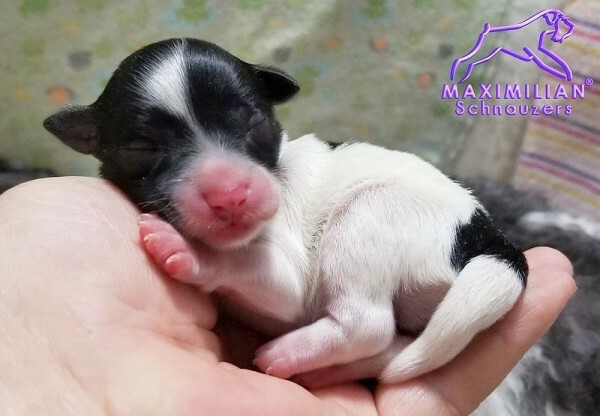 Maximilian Schnauzers is committed to breeding only the healthiest and highest quality of AKC registered Teacups, Toys and Miniature Schnauzers of rare colors that you can't find anywhere. Each puppy enters this world with my care and love. My dogs and puppies are well socialized, raised in my home and never kenneled. 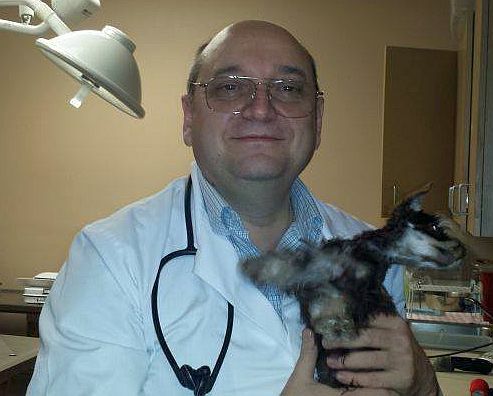 All puppies are handled and loved everyday from the minute they are born. Puppies will come pre-spoiled, pre-housebroken and ready for you to love. Schnauzers are amazing and are non-shedding and hypoallergenic! They are wonderful family pets, very intelligent and loyal with lots of love to give to you. Schnauzers love kids and are very gentle with them. They are healthy and hardy and make a great watch dog. 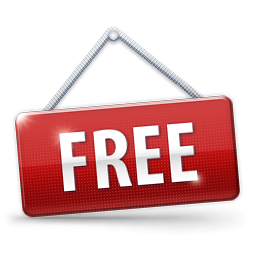 All my parti Schnauzers are eligible for registration with the AKC but are not allowed to be shown in conformation. show rings because they contributed and are a part of the "Miniature Schnauzer History"
I Am Not Your Average Breeder! 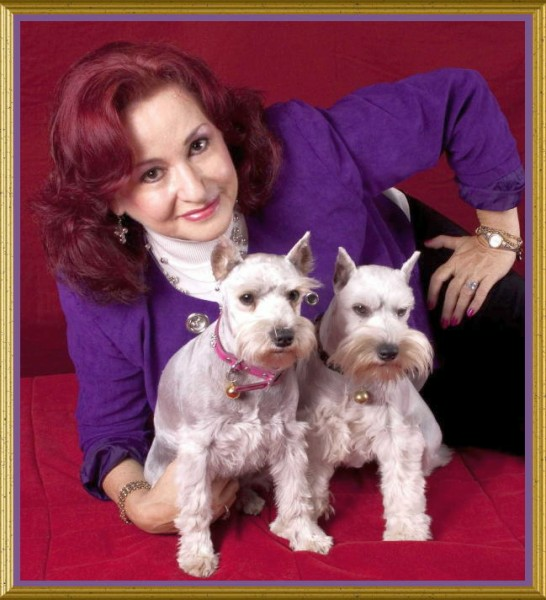 that I have made along the way as we share in common the love and passion for the Schnauzer breed. breed that are in need of a good home. home and does not end up unwanted, abandoned, and spending its last days alone in a shelter run. produce. I Do ! ! ! and I will aggressively pursue the return of one of my dogs if it is in the wrong place. I have to my Schnauzers. of my always loyal and always true companion...the Miniature Schnauzer. establishing a great reputation, and encouraging others. 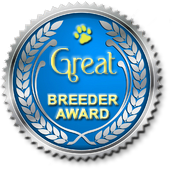 I am a Breeder and I am proud of it. Research Department in the hopes of finding a cure for PANCREATIC CANCER. From time to time, people tell me, "lighten up, it's just a dog,"
or "that's a lot of money for just a dog." or the costs involved for "just a dog." Many hours have passed and my only company was "just a dog,"
of "just a dog" gave me comfort and reason to overcome the day. phrases like "just a friend," "just a sunrise," or "just a promise." So for me and folks like me, it's not "just a dog"
I hope that someday they can understand that its' not "just a dog"
"just a man" or "just a woman." So the next time you hear the phrase "just a dog,"
because they "just don't understand." I Need Your Help With Documentary TV Series!